As the fall weather settles in and the first frost is looming on the horizon, it’s time to soak up as much fall fun as we can before winter arrives here in Indianapolis, IN. We’ve already covered where to pick a pumpkin around Indianapolis, IN, but, there is much more fall fun to be had this season beyond the local farms. 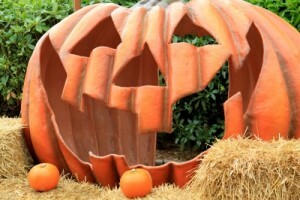 Here is a round up of some of the remaining fall and Halloween events. Heartland Film Festival. Every October, the Heartland Film Festival brings more than 100 visiting independent filmmakers from all over the world to Indy. Heartland showcases more than 270 screenings that do more than just entertain over 10 days of red carpet premieres and events, parties, and hundreds of film screenings across Indianapolis. Starting this weekend, October 16th -25th. Irvington Halloween Festival. For over a half a century, visitors have been flocking to Irvington, just five miles east of downtown Indianapolis, to celebrate Halloween in this “haunted” historic neighborhood. This family-friendly, week-long Halloween festival includes an array of events, from a puppet show and costume party to movie nights and spooky stories! October 24th -31st. Indy International Festival. You can eat your way around the world while experiencing new cultures and learning about the 60+ ethnic groups represented in Central Indiana at the Indy International Festival. This event is in it’s 39th year and is great for all ages. November 5th – 7th at Exposition Hall, Indiana State Fairgrounds.